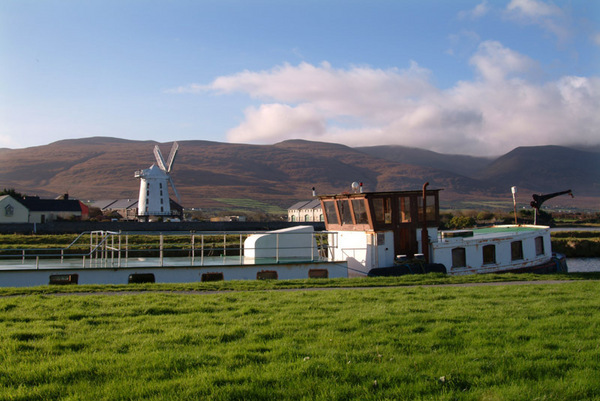 Blennerville Windmill which can be seen here from Tralee canal. An old barge appears to be permanently moored on the canal. Different sizes available, please enquire. Unframed. Smaller sizes (12 x 8 and 18 x 12) available. Framing available if collected from Helene. Please enquire.